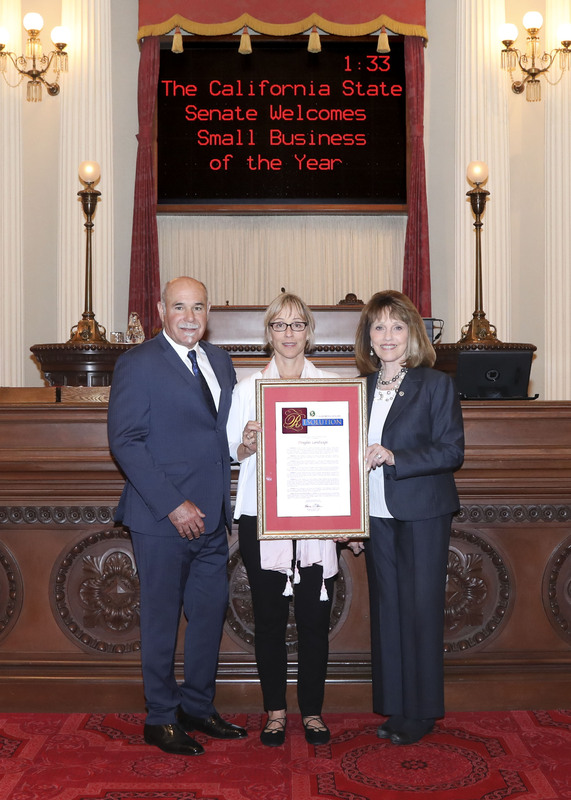 Senator Patricia Bates (R-Laguna Niguel) honored Douglas Landscape Inc. as her 2018 Small Business of the Year. Senator Bates recognized the Dana Point-based landscaping business during the California Small Business Day awards luncheon in Sacramento. “I am proud to honor Douglas Landscape Inc. as my 2018 Small Business of the Year. Owner Douglas Matranga and his team of talented professionals deserve this recognition for their work to provide their customers with the best service possible. Douglas has managed his family-owned business of more than 35 years while promoting a positive work environment and transforming hundreds of properties in Orange County to what some may describe as a work of art,” said Senator Bates. Founded in 2004 and based in Capistrano Beach, Matranga began his company after working with his father in the landscaping business. With a dedicated staff, Matranga and his team have built a successful business in Orange County which specializes in homeowner associations, commercial and industrial landscape maintenance, landscape design and irrigation systems. “I am honored to receive this award from Senator Bates, who is a champion for small businesses throughout California. My team and I are passionate about serving our clients and creating beautiful landscapes for them. We look forward to continuing to provide top-notch service to our customers in the years ahead,” said Matranga. Each year, California Small Business Day honors businesses throughout the state for their contribution to the state’s economy. There are approximately 3.9 million small businesses in California, which account for 99.8 percent of the state’s employers and employ nearly 49 percent of the state’s workforce.